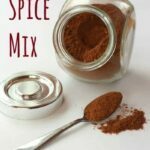 With the warmth of cinnamon and ginger and the heat of cayenne, this Mexican Chocolate Spice Mix will add a kick to your favorite chocolaty recipes. As Valentine’s Day approaches, I’m sure everyone has chocolate on the brain. Do you want to really spice things up and add a a little something extra to your favorite chocolaty treats? 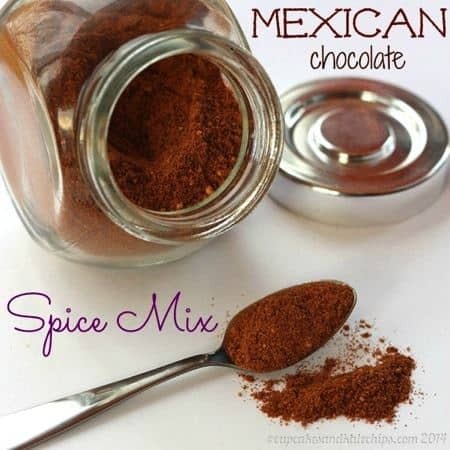 With the warmth of cinnamon and ginger and the kick of cayenne pepper, you’ll be sure to heat up any recipe by adding in some Mexican Chocolate Spice Mix. I’m insane. Really, I am. I almost want to say that I am too smart for my own good, but I’m not gonna give myself that much credit. I’m just an engineer. And a perfectionist. And I know too much about random things that inhibit me from functioning like a normal human being. And totally routine driven to the point of eating the same things over and over and over. And preparing them the same way over and over and over. Same steps, same order, same time of day, you get the idea. Almost a year ago I shared my recipe for Mexican Chocolate Oatmeal. Love this stuff. 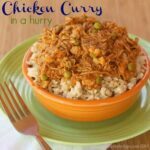 Now I save it for the weekends and stick with plain and simple oatmeal during the week as I start cutting down the extra calories that I no longer need to grow and nourish a baby. So everyday for almost a year I would measure out the oatmeal, sugar or honey or whatever sweetener I was using, the cocoa powder, and all the spices. Individually. The thought crossed my mind to make up a spice mixture so I’d only have to measure out one thing instead of three. But I was concerned about particle size. Particle size? Yes, particle size. And mixing phenomena. And homogeneity. I was concerned that the cinnamon, ginger, and cayenne were each ground to different particle sizes, and so when I combined them, they would not be perfectly mixed because the different particle sizes would lead to segregation of the spices. 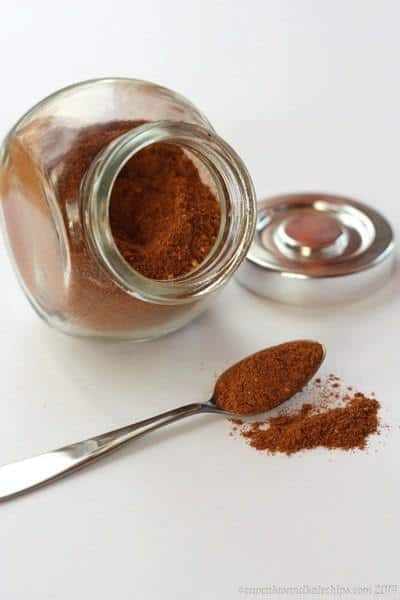 And then when I took a teaspoonful to put in my oatmeal, some days I would get to much cinnamon and not enough cayenne kick, another day it would be too gingery (and I am not a huge ginger person – I like just a bit), and other days I would hit a hot spot and burn my mouth out. These are the kinds of things you worry about when you work for a pharmaceutical company as a chemical engineer for ten years, and have to think about things like particle size and mixing phenomena and homogeneity. You can take the girl out of engineering, but you can’t take the engineer out of the girl. Finally I got annoyed and made the dark spice mixture. And you know what? 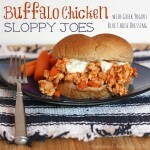 No detectable flavor variations! 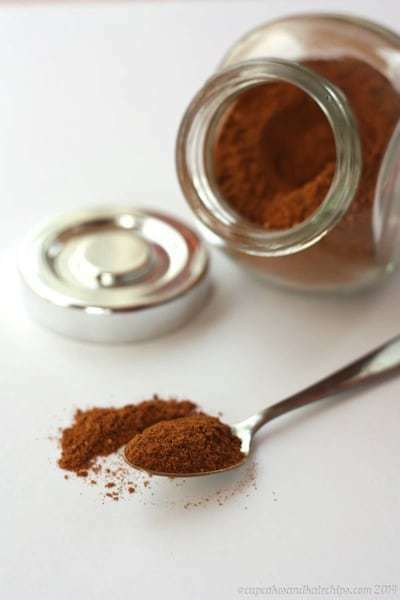 Plus I wanted to make some fancy-schmancy coffee drinks which would necessitated measuring 1/16 teaspoon cayenne every time I wanted to make one. No, there is no chocolate in this spice mixture. You add it to other chocolaty foods and recipes. The warmth of the cinnamon and ginger just play up and enhance the chocolatiness, and make it so rich and comforting. Then the cayenne starts to hit you with its bit of heat. Just enough to make you sniffle a bit and rev up your metabolism. I love this in my oatmeal. I love this in a fabulous hot drink I’ll be sharing later this week. I love it in a chocolate banana smoothie (like this one, minus the peanut butter). And I have some other ideas involving chocolate and sweets. Stay tuned! Do you worry about anything as nonsensical as imperfect spice mixtures? 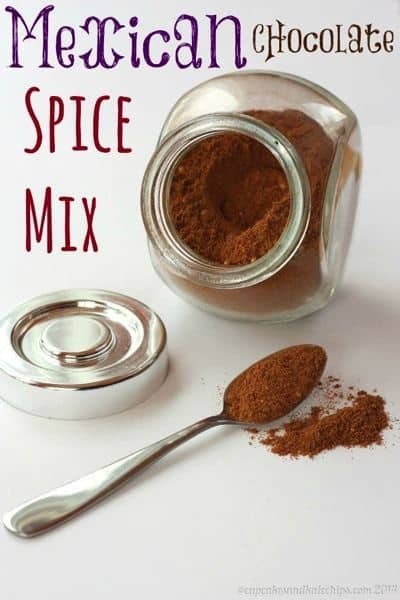 Combine all of the spices in a bottle or jar or covered container and shake to thoroughly combine and mix evenly. You can divide or multiply these quantities to make as much or as little as you would like to have on hand. 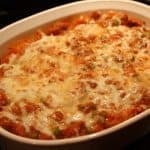 Need some more recipes with a kick? LOL, I am so glad I am not alone! Sounds like a lovely combo, will try it out in my next batch of hot cocoa! This sounds so good! I was a chemistry major – and worked as a lab tech for a major grain processing company – I totally get the method to the madness 🙂 I am the same way! Haha, so gald I am not alone! Ok..you crack me up! 😉 So nice to have it readily available rather than mixing each time!! 😉 Looks like a fabulous combination!